Colonel Fury has another mission for brave heroes like you. Take control of the ultimate squad of superheroes and deal with cruel scum on your way. Switch between characters to let them rest and proceed further. Colonel Fury always seeks for new superheroes and he builds new squads, that can able to stop any kind of enemy. 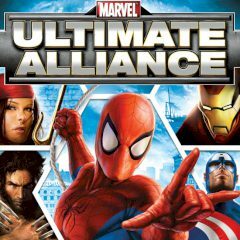 Just look at the Ultimate Alliance and check its members! Now you see, that there is nothing to be afraid of. These superheroes will deal with any kind of enemy. All you need is to switch between them at the right time!